Franklin County Judge says he does not have to explain decision to seal records; procedural issue is ripe for challenge | Kautsch Law, L.L.C. Further, the judge accommodated the media by denying the prosecution’s motion to obtain a blanket seal on all the pleadings, which was unopposed by defense, on July 12, 2013. However, the journal entry documenting that denial also included language indicating that the parties would be free to file motions to seal regarding individual pleadings. Given the Journal-World’s report, it would appear the parties have taken the opportunity presented in that journal entry to seal literally more documents than appear as “open court documents” on the Court’s website. Moreover, it appears that the court’s orders to seal records are themselves sealed. These decisions are contrary to applicable controlling precedent. 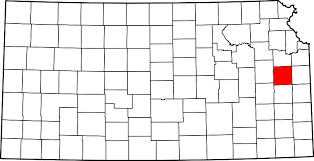 The right to public access to criminal records and proceedings is well-established in Kansas. Records and proceedings may be closed “only if the dissemination of information from the pretrial proceeding and its record would create a clear and present danger to the fairness of the trial, and the prejudicial effect of such information on trial fairness cannot be avoided by any reasonable alternative means.” Kansas City Star v. Fossey, 230 Kan. 240, 247-8 (1981); see also Wichita Eagle Beacon Co. v. Owens, 271 Kan. 710, 712 (2001). Moreover, “[t]o insure compliance with this standard, a record of the hearing where the issue of closure is determined should be prepared. In making a decision of either closure or nonclosure, the trial judge should make findings and state for the record the evidence upon which the court relied and the factors which the court considered in arriving at its decision. Such a procedure will protect both the right of the defendant to a fair trial and the right of the public and news media to have access to court proceedings.” Fossey at 250; see Owens at 713. In the Flack case, according to the statements of the Court itself, orders to seal are themselves sealed, and as such, it is impossible for the public or media to determine whether they contain the required “findings and state for the record the evidence upon which the court relied and the factors which the court considered in arriving at its decision” to close records. The Court’s decisions to seal individual filings in this case without any on-the-record justification is contrary to the Kansas Supreme Court’s holdings in Fossey and Owens. The Franklin County District Court’s orders are subject to challenge, at minimum, on this procedural basis.